At cguWEB, we take pride in using the latest technologies when building websites for our clients. Our latest designs use a technique called "responsive web design", which enables us to create websites that change layout to fit the size and features of the site visitor's device. 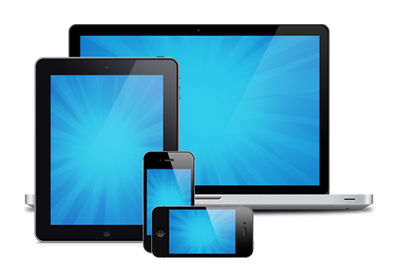 Our designs allow your website to adapt to fit desktops, laptops, netbooks, tablets, palm readers, and cell phones - all with one professionally-coded website! "Have you seen your website on a phone?!" Have you given your site a fresh coat of paint every few years? It's important to take advantage of new technology, the latest design trends, and more user-friendly interfaces. Especially today, with the increasing number of web-enabled devices available, a website needs to adapt to the different formats and devices for the best user experience possible. 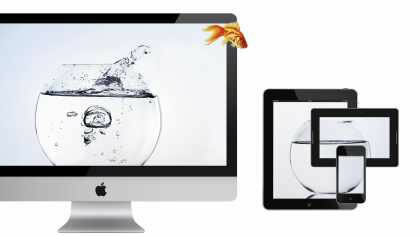 Most likely, your current website doesn't transition very well to a small format screen, as it was designed for a large desktop monitor. And so-called 'mobile websites' designed for small screens aren't very practical to use on a desktop or notebook screen. A solution that's quickly becoming an industry standard is a design technique that can adapt a site's layout, font sizes, navigation, and graphics to the device's screen size... also known as a 'responsive website'. Refactor an existing layout Many sites can be transitioned to a responsive design using existing code and graphics, however there can be caveats that could have a profound effect on the time and cost, or cause compromise on the design and user experience of the website. Build a limited responsive site A partial approach whereby only the most useful or important sections of a website are transitioned to a responsive design, with the remainder being unavailable on other devices. Design a new responsive site Designing a new site is often the best and most cost effective approach to giving your site an up-to-date look and a fresh future-proof design, gracefully adapting to any device format necessary. For a quote on your new mobile website, use our online quote generator, or for a free consultation and quote on your project, Call or Email Us, and we'll help you make the best decisions for your business. These are new times for website owners. Many of your site visitors are going mobile with their web browsing, leaving their desktops and notebooks behind. 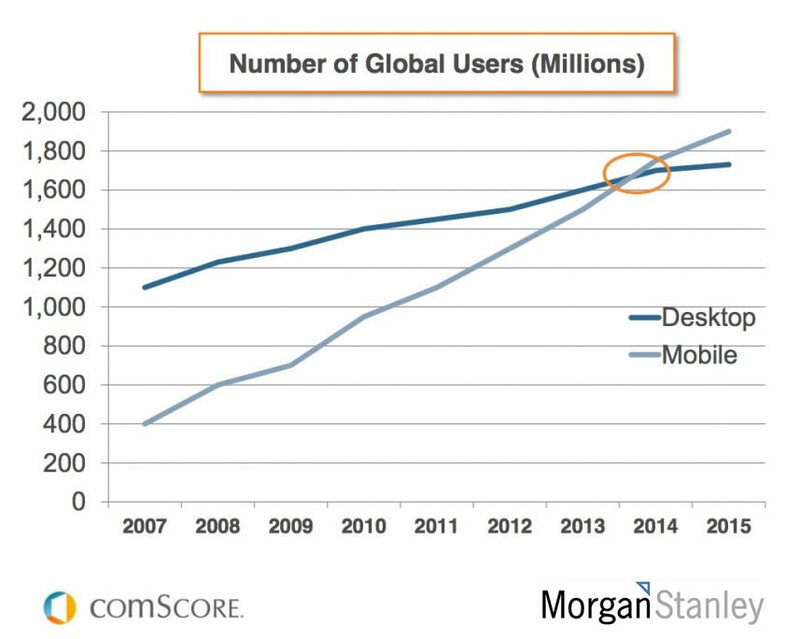 In fact, according to ComScore and Morgan Stanley, mobile users will surpass desktop users in 2014!